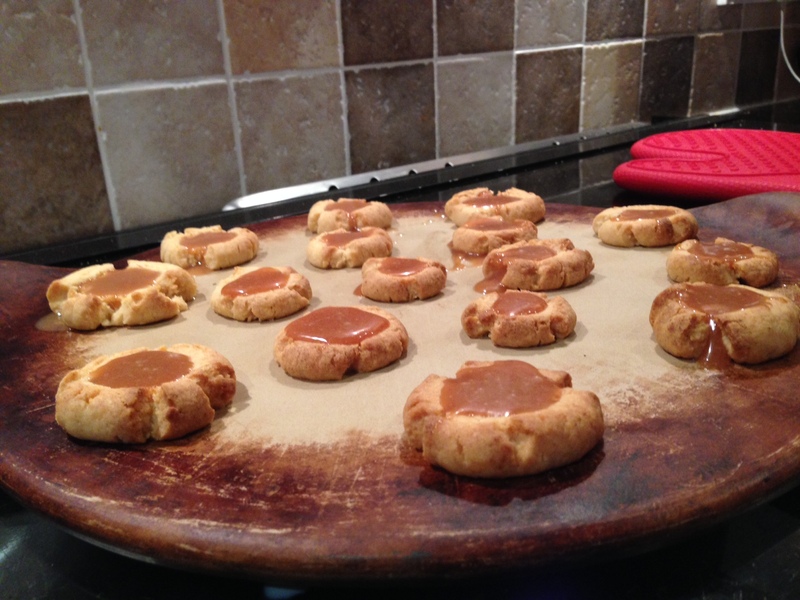 Caramel Thumbprint Cookies – YUM! These little babies are absolutely DELICIOUS! 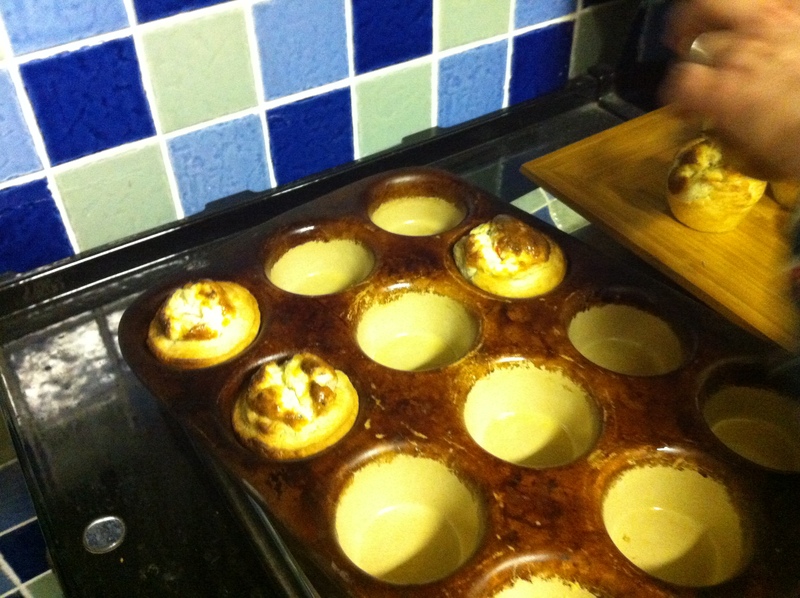 My eldest daughter made them first and they are a complete doddle. They look kind of cute but when you eat one they are beyond divine! Anyway, please try! Preheat oven to 180ºC/fan 160ºC/Gas 4. Line base of Medium Sheet Pan with non-stick baking paper; set aside. Process butter and brown sugar in Manual Food Processor until smooth and creamy. Add flour, egg yolk and vanilla extract; process until a soft crumb-like mixture forms. Carefully remove blade. Bring the mixture together by hand to form a smooth ball of dough. 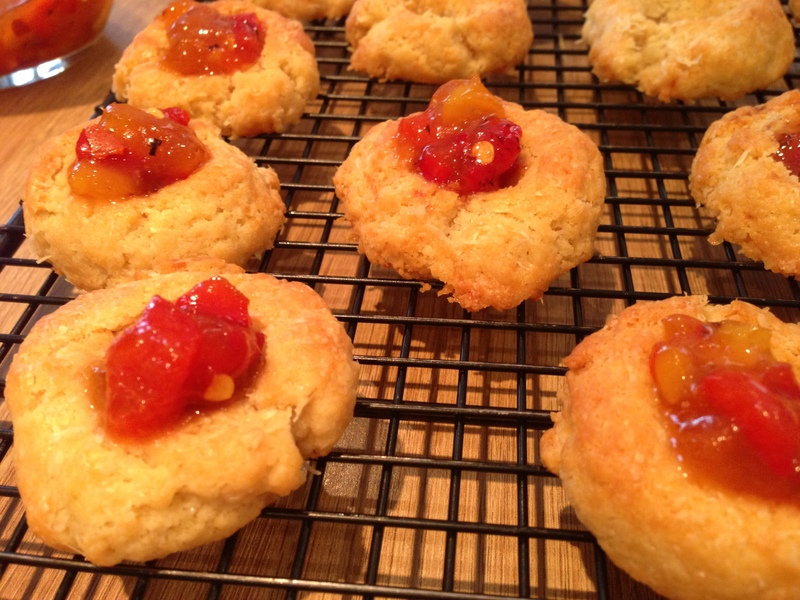 On a lightly floured surface, divide dough into 16 even-sized pieces using Utility Knife. Roll each piece of dough into a ball by hand. Place dough balls on prepared pan, spacing evenly apart. Using thumb, make a small indentation in centre of each dough ball. Bake cookies 12 – 14 minutes or until a pale golden colour. Meanwhile, place toffees and milk in (500-ml) Prep BowlM/B>. Microwave, uncovered, on HIGH 30 – 40 seconds or until toffees are nearly melted. Stir until smooth and well combined; set aside. Remove cookies from oven. Carefully slide baking paper and cookies onto Stackable Cooling Rack. 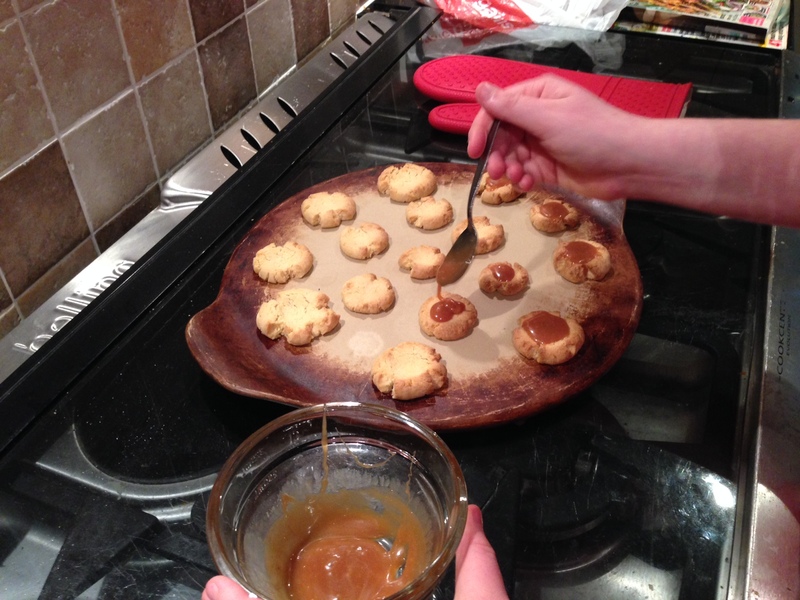 Spoon toffee mixture into wells of cookies; let cool 5 minutes or until cookies are firm enough to handle. Transfer cookies to serving plate using Mini Nylon Serving Spatula. Lightly dust with icing sugar, if desired. Serve warm or cold. Cook’s Tip: The cookies can also be baked on the Rectangle Stone lined with non-stick baking paper. Bake cookies 15 – 17 minutes or until a pale golden colour. Finish as recipe directs. If any baked cookies lose their indentation, gently press cookie centre with the back of a teaspoon whilst still hot, prior to spooning in toffee filling. Filed under Easy Cooking, Eggs, Manual Food Processor, Medium Round Stone, Pudding, Quick Cooking, Stoneware, Super Quick cooking! Roll out pastry and cut out 12 circles about 4.5″ in diameter, using largest Biscuit Cutter. Using the Mini Tart Shaper, gently push each circle into the Stoneware Muffin tray. Roughly chop up the salmon into small pieces using Utility Knife and divide into the pastry mould. 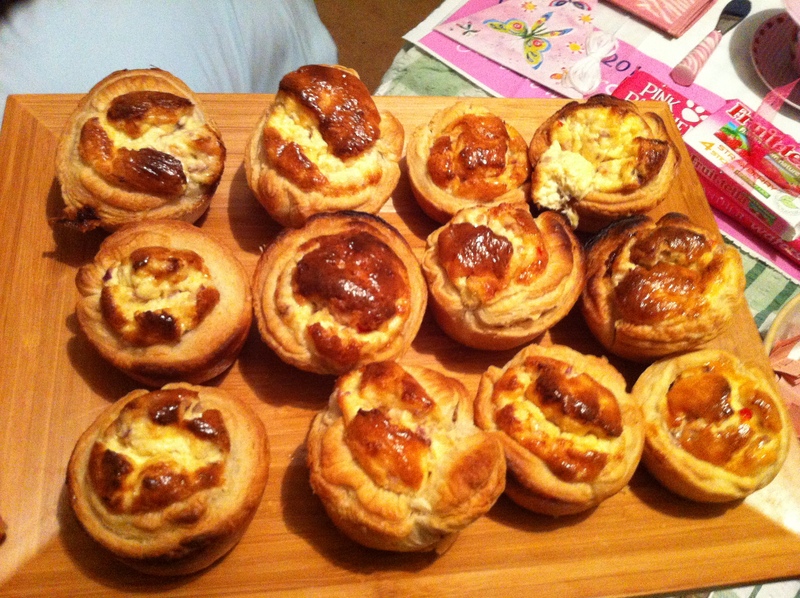 In the Batter Bowl mix cream, eggs, mustard, dill, chopped onion and chilli using Small Mix ‘N Scraper and then pour into each pastry mould – just half inch below the rim of the pastry. Bake for 30 minutes. Just lift out and serve. 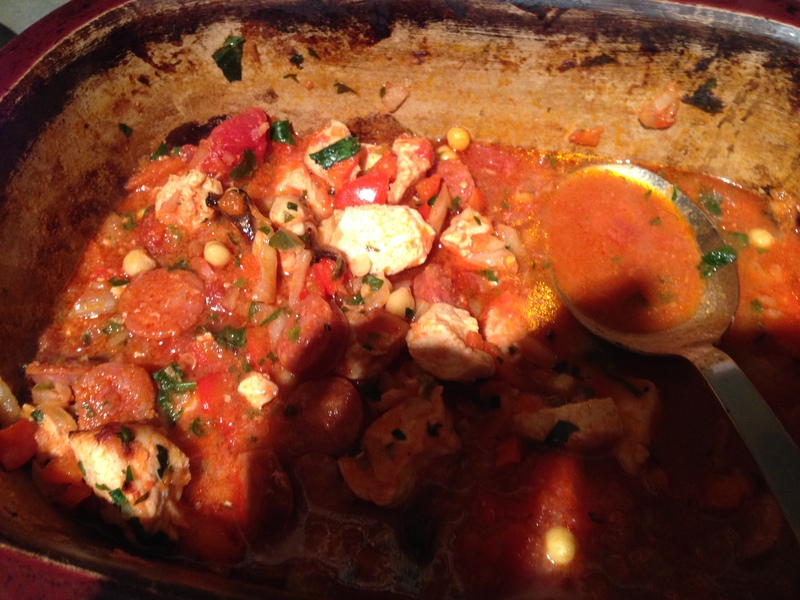 Optional – You can substitute chopped chorizo instead of Smoked Salmon !! This is a brilliant recipe to do to start seasoning your stone especially if you want to be making Yorkshire Puddings in it. Place sun-dried tomatoes in (250-ml) Prep Bowl. Microwave, uncovered, on HIGH 20–30 seconds or until tomatoes are slightly softened. Let cool. Combine parsley, garlic, olives and walnuts in Manual Food Processor. Cover and pump handle until coarsely chopped. 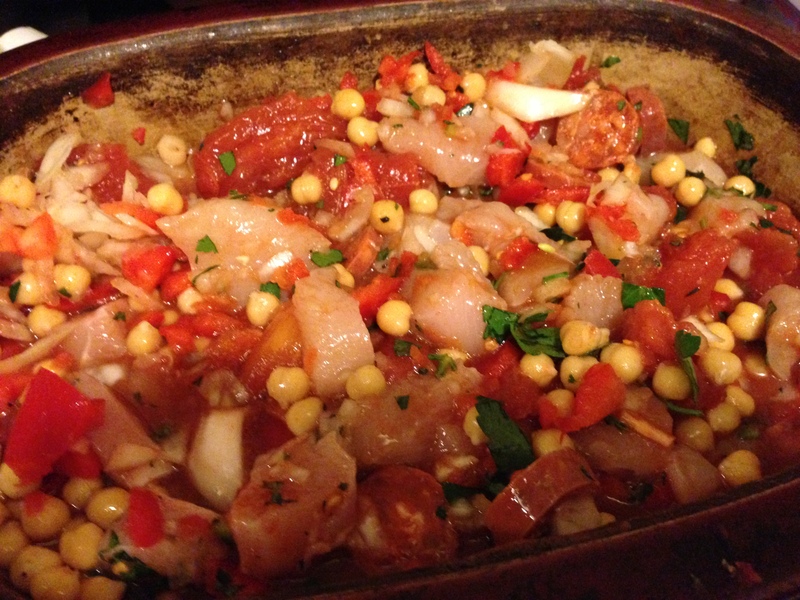 Add tomatoes, olive oil and vinegar; cover and process until coarsely chopped. Add red peppers; cover and process to desired consistency, removing lid and scraping down sides of bowl as necessary using Mini Mix ‘N Scraper®. Transfer tapenade to serving dish; serve. Cook’s Tip: To toast walnuts, place walnuts in Small Micro-Cooker®; microwave, uncovered, on HIGH 1–2 minutes or until aromatic and toasted, stirring after every 30-second interval. Let cool before using in tapenade.